We all know that our computers and smartphones can be hacked if we're not careful. But a family in Houston, Texas learned this week that baby monitors can be hacked too – and unfortunately, they learned the hard way. According to an ABC News report, Marc and Lauren Gilbert use a camera-equipped baby monitor to keep tabs on their deaf 2-year-old daughter. This past weekend, the device began talking back to the child in a European accent, hurling a string of vile insults demanding she wake up. When the Gilberts investigated the noise, the person on the other end of the monitor began attacking them with slurs as well. 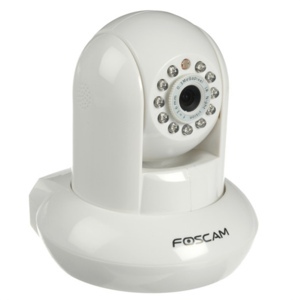 The baby monitor in question, which Forbes has deduced to be the Foscam Baby Monitor, has remote internet monitoring capabilities. It’s believed that the prankster exploited this feature to gain access to an audio and video stream of the child. In April, it was revealed at a security conference that the type of camera owned by the Gilberts was indeed highly vulnerable to hacking. The problem: About 20% of these devices are accessible by entering the username “admin” without a password. The news is indeed alarming, but there are steps you can take to protect yourself if you use a similar device. Experts recommend you not expose a baby monitor to outside networks, but if you must, use a firewall to protect the device. And no matter what you do, protect your monitor with a hard-to-crack password.